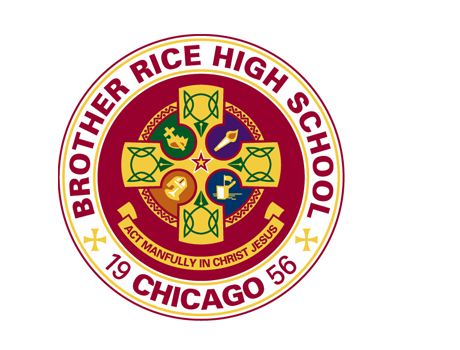 I like many other Brother Rice alumni are stunned and saddened by the death of legendary Brother Rice teacher Al Filan. Its been a tough couple of days to be a Crusader but the school motto is to "Act Manfully In Christ Jesus", so here are my thoughts and memories of my former teacher the late Al Filan. I had Mr. Filan twice, once for freshman typing and then again as a junior for elective Business Law. Mr. Filan was a fast talking, smart aleck, streetwise teacher who gave a you insight to the real world, a good classroom lesson and a few laughs too. His freshman typing class (showing my age that I had typing class), had half the room on electronic typewriters and the other half on black manual typewriters. In the jobs I’ve held people ask me how do I type so fast without looking at the keyboard. Thank Mr. Filan for those blank keys and his strict typing instruction. I don’t remember the specifics but we learned to type well and quickly. His exercises weren’t like anything in the typing book. But to this day as a writer, I have no problem on any keyboard getting my words on the screen. In fact I type hard from that old manual keyboard, so I’ve gone through my share of keyboards. Mr. Filan had his own way of talking, if you whined too much, he’d literally throw a quarter at you and say “Call someone who cares”. There wasn’t room in his class for complaining. My alma mater says its “College Prep”, but old school guys like Mr. Filan were “Real Life Prep”, he prepared me for many bosses who had no concern for your issues, only the bottom line. I then had Mr. Filan two years later as a junior for Business Law, it was one of my first electives and it was a fascinating look into both the business world and legal world. Again more “Real Life Prep”. He could give you real life examples of what we were learning in class and I hear in later years he chaired business department. Most guys loved the class for Mr. Filan’s wit, gift of gab and that you were learning something we thought was realistic past our high school years. One of my favorite Mr. Filan’s quotes was his thoughts on our arch rival Mount Carmel High School. He’d ask “You know what Mount Carmel guys who once they graduate? They either drive cabs and ice cream trucks or rob cabs and ice cream trucks”. I owe him royalties for as many times as I’ve used those words. Mr. Filan was a slim man, he moved as fast as he talked and his classes were never slow, I see from the announcement (tweet), from my old school that he was there 39 years. I haven’t been breathing 39 years but without a doubt Mr. Filan took pride in teaching, did a great job with generations of Crusaders and had our respect too. But with his passing his lessons haven’t stopped, his quotes will not go silent and his teachings will not be forgotten. 39 years of Crusaders have taken in what he had to say and I know I’m not the only who will keep his memory alive. Thanks Mr. Filan for your wisdom, time & education.